Six new groups of molecules from plant extracts you most likely have heard of were found to slow down the aging process. Researchers found that extracts of black cohosh, valerian, purple passion flower, Ginkgo biloba, celery, and white willow bark extended the life span of S. cerevisiae. Do Plants Really Extend Life Span? In the case of white willow, the average and maximum life span increased by over 300%, which is greater than effects that have been found for rapamycin, a drug that has been associated with extended life span in other studies. Further research pointed out that the extracts also inhibited the rise in cellular damage that occurs with aging. 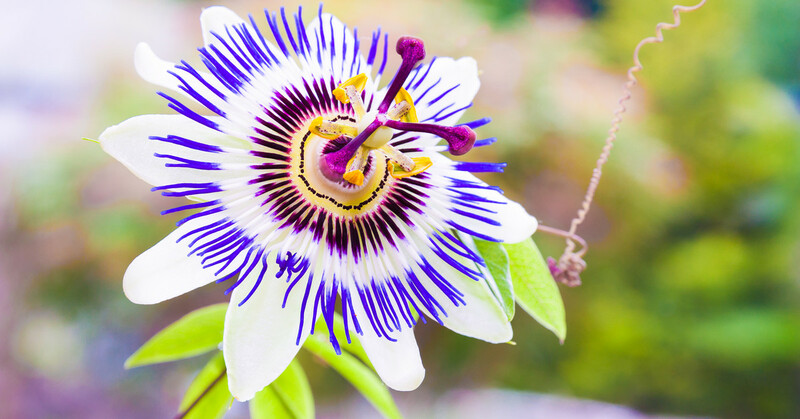 This research is promising for life extensionists, as the results provide new insights into the mechanisms through which certain plant extracts can slow biological aging. 1. Black cohosh is a common ingredient in formulas designed to support menopause and perimenopause, due to its estrogenic action. 4. Ginkgo biloba is a popular herb, particularly for the enhancement of cognitive function. In 2002, a standardized extract of ginkgo leaves extended the life span of C. elegans by an average of 8%, while increasing their resistance to oxidative stress.7 When components of the extract were tested, a flavonoid known as tamarixetin was found to extend median life span by an average of 25%. 6. White willow bark was associated with the strongest life extension effect among the six extracts. White willow bark is a source of salicylic acid which, when synthesized, gives us the anti-inflammatory pain reliever known as aspirin, that has been associated with remarkable benefits, including protective effects against cancer and cardiovascular disease. While there are many factors that contribute to the aging process, these six plant extracts have shown potential to slow it down. And since they have additional health benefits, they're a win-win all around. Lutchman V et al. Oncotarget. 2016 Feb 24. Hassani S et al. Psychopharmacology (Berl). 2015 Mar;232(5):843-50. Akhondzadeh S et al. J Clin Pharm Ther. 2001 Oct;26(5):363-7. Ngan A et al. Phytother Res. 2011 Aug;25(8):1153-9. Krenn L. Wien Med Wochenschr. 2002;152(15-16):404-6. Kellis JT Jr et al. Science. 1984 Sep 7;225(4666):1032-4. Wu Z et al. Cell Mol Biol (Noisy-le-grand). 2002 Sep;48(6):725-31. Sastre J et al. IUBMB Life. 2000 May;49(5):427-35. Leuner K et al. Antioxid Redox Signal. 2007 Oct;9(10):1659-75. Sastre J et al. Cell Mol Biol (Noisy-le-grand). 2002 Sep;48(6):685-92. Nabavi SM et al. Anticancer Agents Med Chem. 2015;15(6):728-35. Souza CS et al. Adv Regen Biol. 2015 Dec 2;2. Nabavi SF et al. Brain Res Bull. 2015 Oct;119(Pt A):1-11. Choi HW et al. Mol Med. 2015 Jun 18;21:526-35.